Posted July 27, 2017 by Josette Farrell in News. 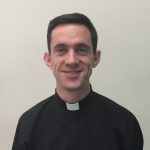 Bishop Brendan Kelly ordains Rev Declan Lohan, a former barrister and member of the Legion of Mary and Youth 2000, to the priesthood for ministry in the Diocese of Galway. “We’re not priests in order to fix the world, or anybody in it. 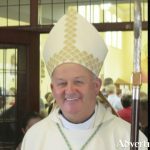 We are priests because God has called us,” Bishop Brendan Kelly told the congregation of family and friends who gathered in Oranmore parish, Co. Galway on Sunday for the ordination of Fr Declan Lohan. The former barrister and member of the Legion of Mary and Youth 2000 is the first priest the parish has produced. The Bishop of Achonry told the congregation, which included up to 60 priests, that the implements that build up the community of Jesus Christ are poverty and detachment, and freedom in the face of the powers of the world. 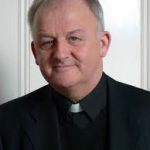 Dr Kelly referred to Fr Lohan’s decision to set aside his first trade in law to follow Jesus as a priest, with and for the people of God in the Diocese of Galway. “Your priesthood and shepherding will be enhanced by your first training, just as the experience of being wood-worker was never lost on Jesus,” he said. On poverty and detachment, Bishop Kelly referred to Pope Francis’ words to priests, religious and seminarians in Havana in September of 2015, when he told them “to love poverty like a mother”. He said that in these times when all institutions and traditional sources of authority and wisdom are doubted and under severe scrutiny, witness and example in the matter of faith become far more significant.